Stockholm, Gothenburg, Helsingborg, Malmö, and more! Sweden has plenty to explore – from the glaciated mountains, the Viking wilderness, to a unique culture and nightlife. Offering everything from deep-blue archipelagos and Northern Lights, to killer fashion, food and design, Sweden is a Nordic dream date. Truth be told, the best thing about Sweden is its natural assets. Indeed, to really appreciate this country’s magnetism, take time to leave the city behind. Across the country, walled medieval cities, seaside fortresses, turreted palaces and revealing museums attest to Sweden's long and complex backstory. Explore the gay scene in Stockholm and Gothenburg. Once you visit Stockholm the first time, the city will get in your system and call you back over and over again. What is it that makes this city so special and magical? First off, the city is spread across 14 islands, which means you are never far from the water. Add to that loads of green spaces and striking architecture. And finally mix in the stylish and gorgeous Scandinavian people, who are fun loving and friendly. 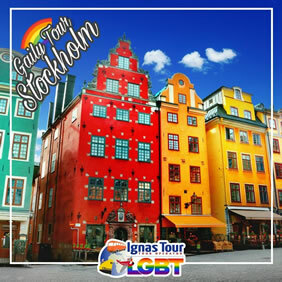 • Buffet Breakfast and start your exciting LGBT Friendly walking tour from Gamla Stan, the name for Stockholm's historical centre. • Here you will find the Swedish Parliament, Riksdag, and the Royal Palace. •Take a look to this enormous baroque building which is the King's official residence and with 600 rooms, it is one of Europe's largest palaces. 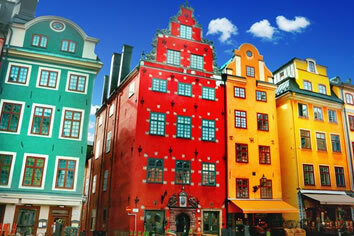 Rainbow Tips: Stockholm’s main gay bars and gay-popular cafés are located in Gamla Stan (Old Town) area. 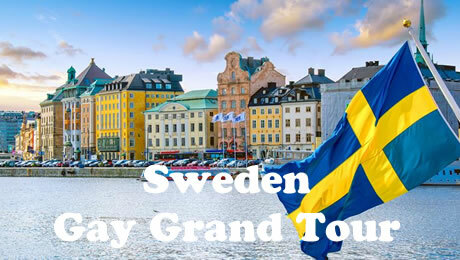 • Buffet Breakfast and departure by high speed train to Gothenburg, the 2nd largest city in Sweden that is home to the biggest port in the Nordics. • Lunch on your own. Accommodation at your hotel. • In the afternoon, enjoy an extraordinary LGBT Friendly walking tour of the city. • Notable landmarks include University of Gothenburg, futuristic Opera, Ullevi stadium, Poseidon statue, Slottsskogen park and many others. • Dinner on your own and overnight stay at your hotel in Gothenburg. Rainbow Tips: Gothenburg's own West Pride festival has been around since 2007. The festival takes place every year in June, often with more than several hundreds of items on the programme, the highlight being the Rainbow parade. • Buffet Breakfast and enjoy a fantastic visit of Älvsborg Fortress. Originally built on the mainland, it protected the gateway to Sweden from Atlantic Ocean in the Middle Ages. • Return boat tour to New Älvsborg Fortress and guided tour on the island included. It was relocated onto a separate island in the 17th century and is well-maintained until now. • Dinner on your own and overnight at your hotel in Gothenburg. • Buffet Breakfast and departure by high speed train to Helsingborg. • In the afternoon, free time to explore Helsingborg. • The city is full of beauty. Architectural sights that extend from the early Middle Ages via the functional style to the present day. The city is also full of history – old and modern, Danish and Swedish. • Other locations and museums give an account of different occupations and industries – the rubber factory, fishing, the printing works, the stoneware factories etc. This and much besides can be found in the independent museums. 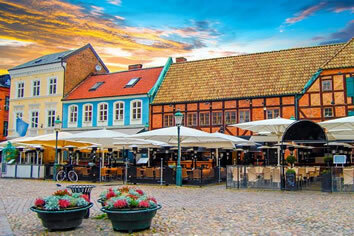 • Dinner on your own and overnight at your hotel in Helsingborg. 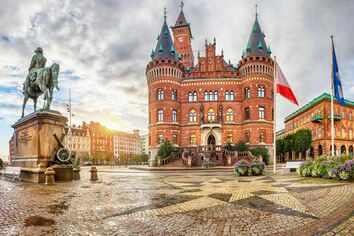 • Buffet Breakfast and departure by high speed train to Malmö, the 3rd largest city in Sweden that gracefully combines historical buildings and parks with modern architecture and progressive industry. • Accommodation at your hotel. Lunch on your own. 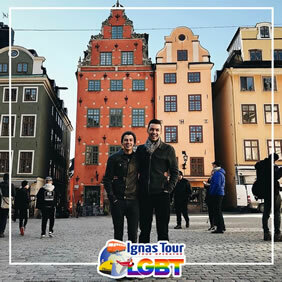 • Afterwards start your amazing LGBT Friendly walking tour of Malmö and learn about the fantastic history of the city and many buildings and monuments that grace this beautiful city. • Learn the history of the Malmöhus and hear of the many battles between the Swedes and Danes. 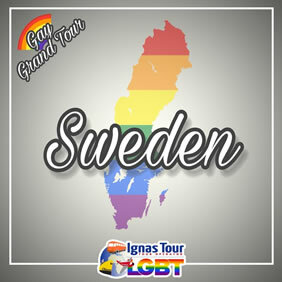 • See the beautiful Gamla kyrkogården, and sites such as Slottsmöllan, Malmöhus, cozy squares, the bronze marching band), and much more. • Afterwards dinner on your own. • Overnight at your hotel in Malmö. • Buffet Breakfast and departure by high speed train to Copenhagen crossing the famous Oresund Bridge. • In the afternoon, free time in the city for individual visits and shopping. Spar Hotel Gårda is 1.5 km from Gothenburg Central Station and Liseberg Amusement Park. A roof terrace, free WiFi and free sauna access are offered. Spar Hotel Gårda offer you a nice room with everything you need: a telephone, cable TV, hair dryer, desk, armchair, Internet connection, tiled bathroom and above all, a warm, comfy bed to curl up in. Centrally situated in Helsingborg, this modern hotel is just 7 minutes’ walk from Helsingborg Ferry Terminal and Central Station. It offers free Wi-Fi and free access to a sauna. Cable TV is provided in each Comfort Hotel Helsingborg room, along with contemporary furnishings and bold, artistic décor. A rich buffet breakfast is served each morning. Drinks and light meals are available in the lobby bar. Comfort Hotel staff is always willing to recommend nearby restaurants, bars or shops. Both the 13th-century Kärnan medieval tower and Town Hall are less than 15 minutes' walk away. Stortorget Square is an 8-minute walk away. The renaissance-style Malmöhus Castle is located 1.5 km from the hotel. All rooms at Comfort Malmö feature comfortable beds by Dux, a work desk and tiled bathrooms with a bath or shower. Guests can work at in the on-site gym, which also has a boxing ring.